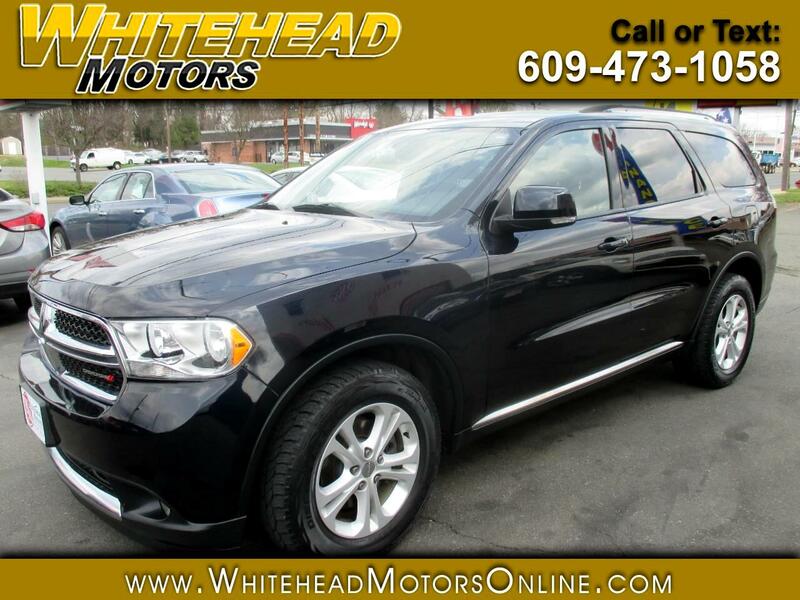 Refined power, style and technology are here with our Accident Free 2011 Dodge Durango Crew AWD showcased in Brilliant Black Crystal Pearlcoat. Powered by a 3.6 Liter V6 that offers 290hp while connected to 5 Speed Automatic transmission. Our All Wheel Drive SUV rewards you with great traction and control on virtually any surface, plus a quiet ride, easy handling, and near 22mpg on the highway. The exterior is enhanced by chrome accents, fog lamps, roof rails, and bright wheels. Inside the spacious cabin, settle into the comfortable cloth seating as you reach for the push button start, take note of the multi-zone automatic climate control, full power accessories, and grip the leather-wrapped steering wheel with controls at the ready. The premium sound system features voice command, a touchscreen display, Bluetooth, available SiriusXM radio, and USB/AUX inputs for your listening pleasure. Dodge didn't skimp on safety as you have anti-lock disc brakes, tire pressure monitoring system, stability and traction control, plus front side airbags and full-length side curtain airbags to keep you and your passengers from harm. Never get caught in the ice, snow or mud again! Not with this Durango Crew! Print this page and call us Now... We Know You Will Enjoy Your Test Drive Towards Ownership! Get Approved In Minutes at Whitehead Motors. We Make Car Buying Easy.